Factory Q: Why choose us 9 A: We are professional manufacturer ,and we can provide the reasonable price and good service. Q: Do you provide sample9Is it free or extra 9 A: Yes,we can provide free sample for quality inspection. Q: Can you tell me your main customers9 A: That's our customers' privacy, we should protect their information. Packing & Detailed Application Case Can be used in hats and other shading surface to waterproof effect. 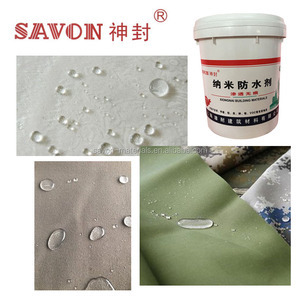 Can be used in tents and other outdoor goods surface waterproof, moisture-proof. . Can be used in backpack, computer bag, student bag surface waterproof. Apply the second layer with vertical direction after the first one becomes dry. 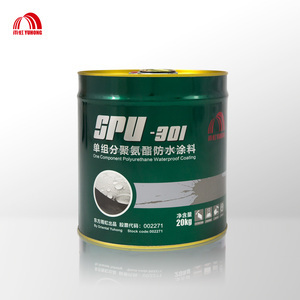 Protective layer application : apply as designed requirement after passing the acceptance inspection. 3)Apply the protective and decorative layer 3-5 days after the coating becomes dry. 2.The construction protect layer must be done upon coating thickness had met the design requirement and gained acceptance. The second time coating can be carrying on as soon as the prior film is non-stick. 7.The construction protect layer must be done upon coating thickness had met the design requirement and gained acceptance. 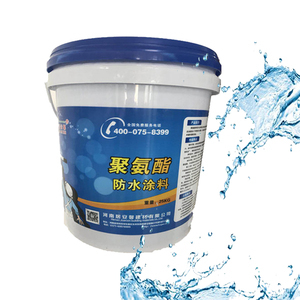 Shanghai Jinquan Coatings Co., Ltd.
Elasto Multiseal is highly elastic and highly flexible liquid applied single component water proofing system. Elasto Multiseal provides a protective flexible waterproof which has high resistance to cracking due to structure movements. Elasto Multiseal is applied cold and does not require pre-heating like normal bitumen based coatings. 4.The amount of coating must be in accordance with the provisions of reclaming, can not be too thick or too thin. G uangdong Dayu is a large collectivize company, specializing in waterproof science and technology. ,Ltd , established in 2014, registered capital RMB80 million. Tianjin Jinhai Special Coatings & Decoration Co., Ltd. It's not strict on the requirement of moisture content to basic surface. Play a effect on thermal insulation, heat preservation and beautification. We strictly carry out according to the quality system in every aspect of the production process. Cangzhou Jiansheng Building Waterproof Material Co., Ltd.
Oblique ditch, gutter, building connections between the joints and fill gaps cracks in the roofing waterproof. 2. Impermeable barrier, underground pipeline corrosion and the primary treatment agent. 3. Oblique ditch, gutter, building connections between the joints and fill gaps cracks in the roofing waterproof. Guangdong Bardese Chemical Co., Ltd.
Top-China Nano Science & Technology Co., Ltd.
Shanghai GRASi Industry Co., Ltd. 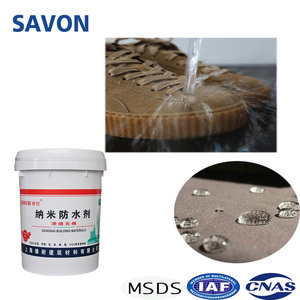 The active ingredients with nano-particle size ensure good penetration, and get chemical bonds with substrates without, it will provide long lasting protection. 4,We will provide experienced products package and experienced price to our customers,for long term cooperation customers,we also will share new products with them for free. 5,We are willing to know more feedback of customers,and try to meet customers&rsquo;requirement,GRASi can develop special and professional products to customers. 3 With better film elongation,this product can adapt to base shrinkage and crack deformation. 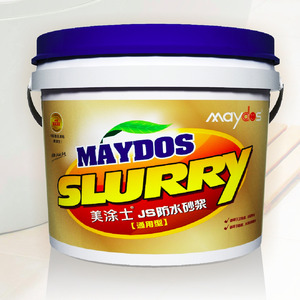 4 Cold construction,color additives can be added;Easy to construct and maintain. 4. Free samples will send provided once confirmed the clients' information. Qingdao Shamu Advanced Material Co., Ltd. The next brushing should conduct after the prior becomes hard drying. Place the fiberglass mesh after the first brushing, and keep it leveled. Do the second time brushing after the prior coating film becomes surface drying but not hard drying. 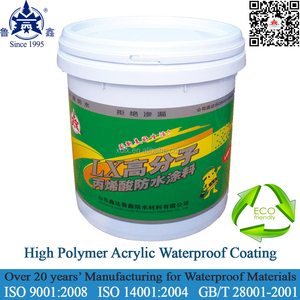 Alibaba.com offers 223,960 waterproof coating products. About 9% of these are wallpapers/wall coating, 4% are waterproof membrane, and 3% are building coating. A wide variety of waterproof coating options are available to you, such as free samples, paid samples. 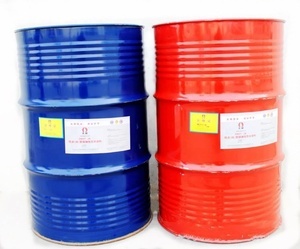 There are 223,232 waterproof coating suppliers, mainly located in Asia. 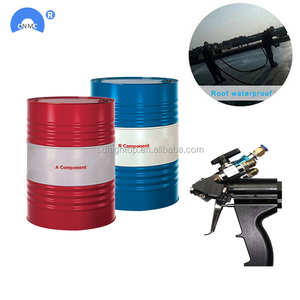 The top supplying countries are China (Mainland), Vietnam, and Taiwan, which supply 98%, 1%, and 1% of waterproof coating respectively. Waterproof coating products are most popular in North America, Domestic Market, and Western Europe. You can ensure product safety by selecting from certified suppliers, including 56,692 with ISO9001, 32,619 with Other, and 19,017 with ISO14001 certification.